Indian weddings are known for the richness of colours in them.Hues of reds, yellows and greens make a splash, creating a perfect ambience.While Indian weddings have a fair amount of gold accessories but people of late, have developed a major interest in a related section – diamonds. In India, most diamond jewellery is purchased for 'love occasions' such as weddings or engagements.And what's better than coloured diamonds in Indian weddings; which have become quite popular over the last few years or so. Traditionally, Indian jewellery was set with uncut and rose cut diamonds, but the charm of coloured diamonds in Indian weddings was not widely spread.Today, coloured diamond jewellery is making good progress in the Indian market. It is marketed at the top of the chain as a luxury item.Because jewellery plays an important role in Indian wedding traditions and as a status symbol, when a trend picks up it is just a matter of time before everybody wants to have that same look. Coloured diamonds are becoming more prevalent as they offer flexibility in terms of design and colour.It also adds a more contemporary look to an outfit. 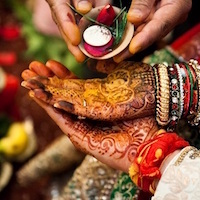 In Indian weddings nowadays, there's a common trend that is followed where the parents of the bride give custom-designed jewellery as a ceremonial gift. So, people now prefer diamonds more over the traditional Gold Jewellery. Coloured diamonds have become a fashion statement.From bride's engagement ring to the wedding's jewellery set, everything has diamonds in it. When asked about diamonds you may initially imagine a sparkling clear stone, but fancy coloured diamonds are too beautiful to neglect. These are very rare gems which are why it is adored by both celebrities and royalty, they are often seen and are true symbols of status. In addition to their beauty, purchasing a coloured diamond is considered as a long term investment as it's valued increases by 10-15% every year. The most popular cuts for fancy coloured diamonds are Radiant, Cushion, Pear and Oval. These cuts amplify the diamond’s colour and bring maximum light. Emerald and Round shaped coloured diamonds are considered as the most valuable and costly diamonds. 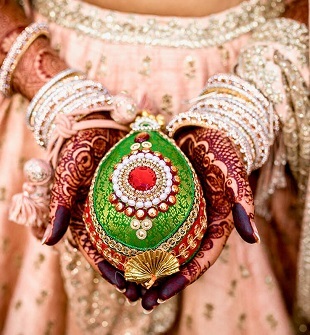 Yellow, Pink and Green are most preferred coloured diamonds in Indian weddings. Brides looking for really unusual and trendy engagement ring, but who still crave the traditional touch of a diamonds can go for a lighter shades of pink or yellow.Like any other coloured gem, the more attractive the colour of the diamond is the greater is it's worth. As the availability of vibrant coloured diamonds is so rare, the demand for these is extremely high, especially in Indian weddings. 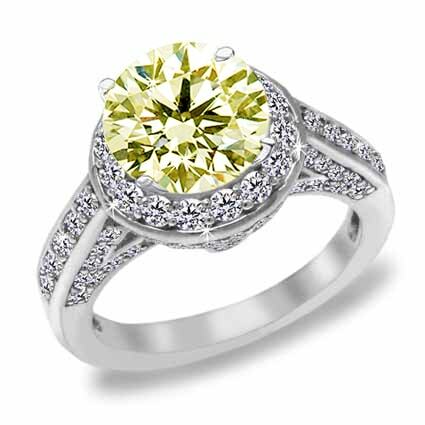 Of all colour varieties, yellow, brown and black diamonds are relatively inexpensive and are within an affordable price range. 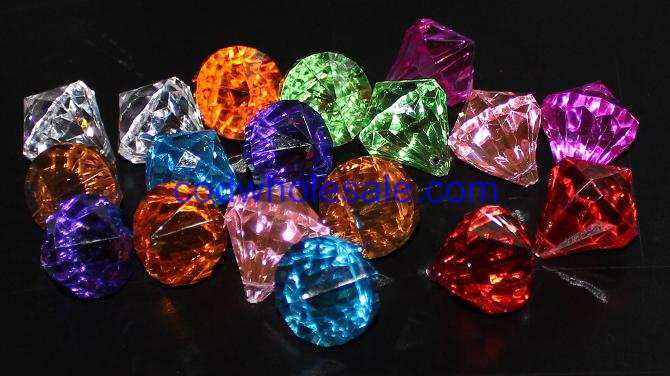 All of the other colours like pink, blue, green, orange are very rare and hence quite expensive. Another reason behind increased demand for coloured diamonds is its affordability.Earlier, these diamonds were not purchased as they were regarded as a luxury only for the rich people.But now, coloured diamond jewellery is within the reach of lower economic groups as well. Though traditionally, solitaires set in a yellow gold band are preferred, the younger generation is becoming more adventurous and going in for with coloured diamonds in Indian weddings.Women nowadays generally go for coloured diamonds which would go with western as well as Indian clothes. And for occasions like engagements and weddings, they prefer trendy and quirky designs. In India, coloured diamonds are near the top of most women’s lists of preferred presents. Due to this, the popularity of diamond jewellery is considerably high in recent times.To say that Indian women love diamond studded jewellery, especially in weddings is an understatement. Rings and earrings are the most widely owned coloured diamonds jewellery types but necklaces, pendants, bracelets do the figure for sure in their collections to suit every occasion. According to studies, more than 90 percent of India’s affluent women own diamonds, with most receiving their first diamond to celebrate a wedding, engagement, birthday or anniversary. 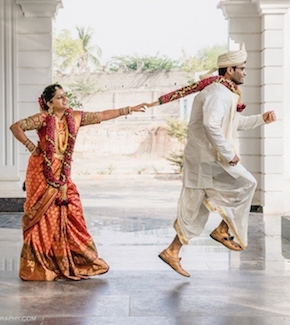 And so, the future of these diamonds in Indian weddings looks bright.